An image posted by President Donald Trump's Twitter account on Friday to draw attention to planned sanctions on Iran. The US plans to reimpose sanctions on Iran on Monday as part of its withdrawal from the Iran nuclear deal. US president Donald Trump welcomed the occasion with a replica "Game of Thrones" image that says "Sanctions are Coming." US president Donald Trump heralded new sanctions the US plans to impose on Iran with a knock-off image referencing HBO's "Game of Thrones." 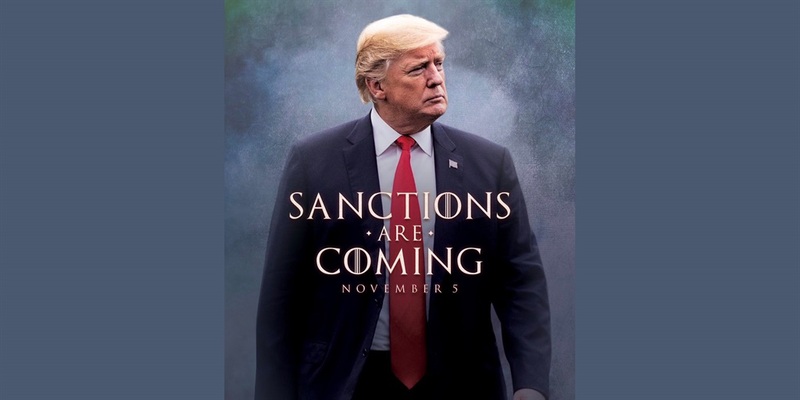 It shows a photo of Trump with the words "Sanctions are Coming November 5" written in the font used in the show. It plays on "Winter is coming," a warning repeated in and popularised by the TV series. In a statement, HBO said it was "not aware of this messaging and would prefer our trademark not be misappropriated for political purposes." The White House is planning to reimpose all the US sanctions on Iran that had been removed under the Iran nuclear deal, which was signed in 2015. The sanctions, scheduled to take effect on Monday, a date previously announced by the Treasury Department, will cover Iran's shipping, financial, and energy sectors. 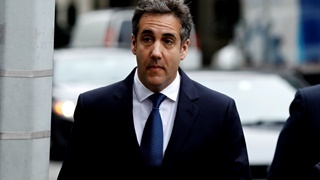 Trump withdrew the US from the Iran nuclear deal, also known as the Joint Comprehension Plan of Action, in May, calling it "defective at its core." The deal was narrowly designed to keep Iran from developing a nuclear weapon for at least 10 years, and while Iran has widely been viewed to be in compliance, the Trump administration has other grievances the deal did not address. Secretary of State Mike Pompeo outlined 12 demands that Iran must meet to avoid the sanctions. 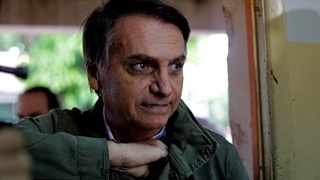 They include ending military engagement in Syria and halting all nuclear and ballistic-missile development.